For well drilling, water well installations, repairs, maintenance, and more call today! Born Well Drilling Inc. is a locally owned well drilling company since 1914 in the South Central Minnesota area that offers a wide list of options to make sure your well is built and maintained correctly. A properly constructed well is important when it comes to keeping your family or business safe from potentially harmful contaminants. 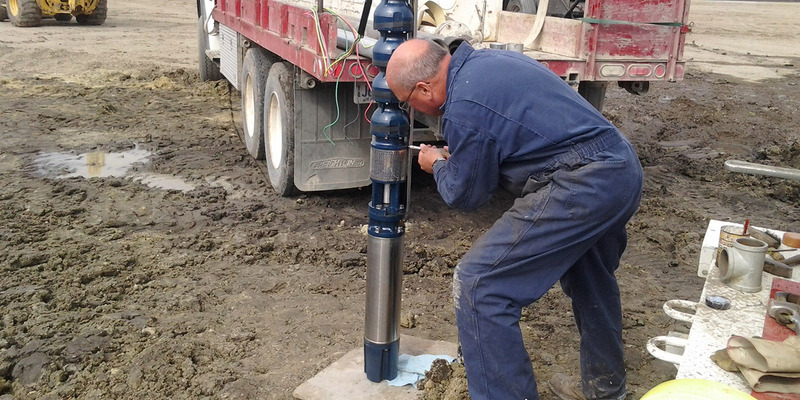 Born Well Drilling Inc., will provide you with a well that is drilled, installed, serviced and sealed accurately by a trusted, experienced, professional team. If your well is experiencing problems, we also offer expert repair services. When you’re having trouble with your well, call on our team to do troubleshooting and repairs on your system. Our technicians work on all makes of water pumps. We are known for the quality of our work, we do the complete job, from drilling to pump repair in order to help keep your water flowing. With over 100 years in service and a staff that has over 125 years of experience, Call the team at Born Well Drilling Inc. today. Visit our services page for a more comprehensive list. We also offer emergency service. Born Well Drilling Inc will always work extremely hard to exceed all your expectations and provide you with the professionally drilled well you are looking for. Born Well Drilling Inc, is state certified for sealing of abandoned wells, and licensed, insured, and bonded by the state of Minnesota.